Healthcare has officially entered the mobile age — here are three areas medical marketers should focus on in order to maximize site visibility and performance. Over the past decade, mobile’s role in the patient path to treatment has increased significantly. Today, more than 77% of Americans own a smartphone and 62% of them actively use their devices to look up health information. Moreover, approximately 68% of all health-related searches on Google are now initiated from a mobile device and by 2020, 157 million people will use mobile tools to manage their conditions and/or health in general. With so many patients relying on mobile as their primary vehicle for health-related research, mobile SEO should be a strategic priority for medical brands looking to remain visible in an increasingly competitive marketplace. While many tenets of traditional SEO hold true for mobile, there are some key differences you should be aware of. Here are three tactics that will help maximize your brand’s visibility and your digital marketing ROI. For all the chatter about mobile marketing, mobile is still, in many ways, uncharted territory for SEO. Google’s desktop search algorithm relies primarily on links — that is, the number of links to a given page scattered across the web — and metadata, data that explains what a site is about, to organize rankings. But on mobile, everything changes. A significant percentage of links are shared through messaging apps, which Google can’t crawl, and mobile websites generally lack the metadata of their desktop counterparts. So instead of using traditional signals, Google has had to prioritize other factors, especially user engagement signals, when developing rankings. What should medical marketers take away from this? That there’s a much stronger correlation between user experience and SEO rankings on mobile than there is on desktop. To take advantage of this, use a robust analytics platform to carefully monitor who’s coming to your site, how long they stay, and where/why they leave. You can also compare your data before and after the launch of Google’s RankBrain — a machine-learning algorithm that helps determine a user's satisfaction with their search results — to identify correlations between UX quality, certain user engagement metrics, and your search ranking. Mobile devices give marketers a unique opportunity to improve search rankings by responding to search context as well as keywords. Smartphones provide a massive amount of data about their users, from how many steps they’ve walked this week to when their next doctor’s appointment is scheduled. Users have come to expect that search results will account for the context of their query, and that those results are tailored to typical mobile search goals (i.e., “find a business near me”). To take search context into account, examine the breakdown of your search volume by device to determine whether specific queries occur on desktop or mobile. Once you determine what your mobile users are typically searching for, you can create content that caters to those needs. A fast website is important for desktop SEO, but it’s even more critical for mobile, where 53% of sites are abandoned after three or more seconds of load time. Google’s Accelerated Mobile Pages (AMP) standard is setting the bar for loading speed and efficiency, so it’s in medical marketers’ best interest to get on board. To ensure that your site performs adequately across every platform, take advantage of Google’s PageSpeed Insights tool, which measures your load speed and generates a report that you can easily send to developers. If your load time is slower than average — more than five seconds or so — try to reduce file sizes on your homepage (large images can often be the culprit), as well as any interstitials that might get in the way of your content. Consider using AMP HTML for your website — the AMP Project provides a helpful tutorial, but many popular CMS plugins will take care of this for you. As you streamline your page, make sure you’re not going too far and negatively impacting the experience for visitors. 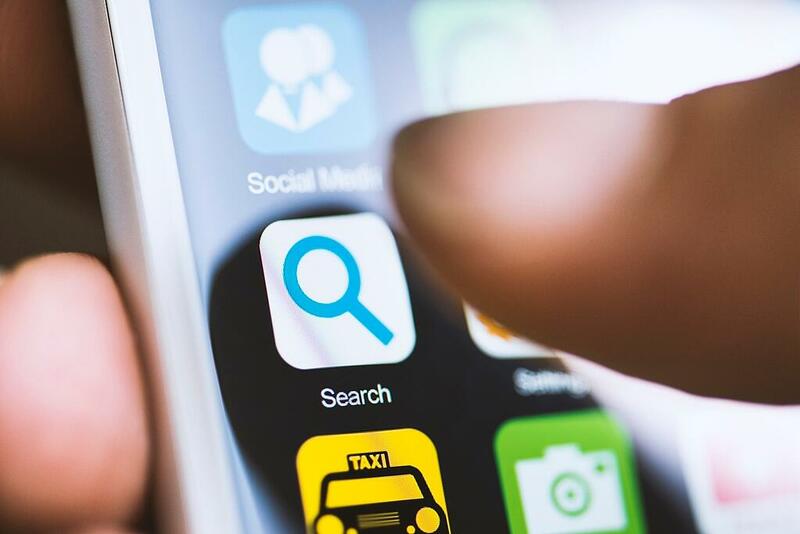 At the end of the day, mobile SEO shouldn’t be viewed as a headache or an obstacle to marketing success; rather, it’s an opportunity to improve your brand’s visibility and connect with more prospective patients than ever before, which, of course, ultimately translates to more new revenue for your practice or hospital.